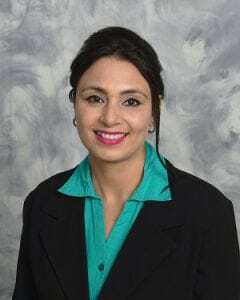 Dimple Ghassi, M.D., has joined Eddy SeniorCare/PACE as medical director. Eddy SeniorCare, part of St. Peter’s Health Partners, is the Capital Region’s only Program of All-Inclusive Care for the Elderly (PACE). Dr. Ghassi is an internal medicine specialist with a decade of experience as a hospitalist at Albany Medical Center and as a primary care physician at the Stratton VA Medical Center in Albany. She brings her interests in health promotion and improving the quality of life for seniors to the PACE program, as well as her experience with quality improvement methodology. Passionate about adapting systems of care to better the lives of seniors, Dr. Ghassi uses a patient-centered approach to implement effective disease management programs to reduce unnecessary hospitalizations. Eddy SeniorCare/PACE is a unique health management program designed to help frail elderly adults live independently in their community, manage their medical conditions and avoid nursing home placement. To be eligible, individuals must be 55 years of age or older, qualify for nursing home level of care, qualify for long-term care services for more than 120 days, and live within Schenectady County or certain Albany County zip codes. For more information, click HERE, or call 855-376-7888.